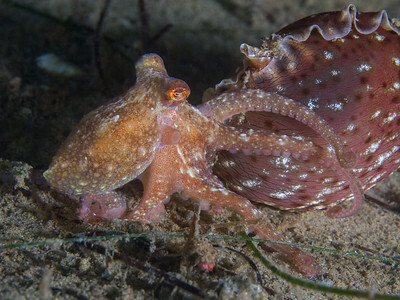 California two spot octopus at La Jolla Shores. 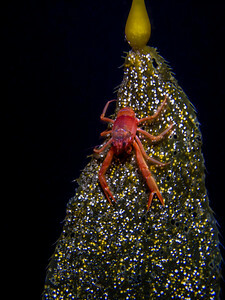 Coonstripe shrimp feeding on an orange cup coral at Breakwater. 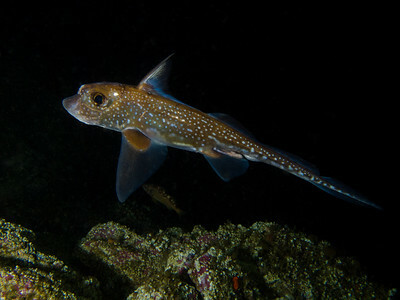 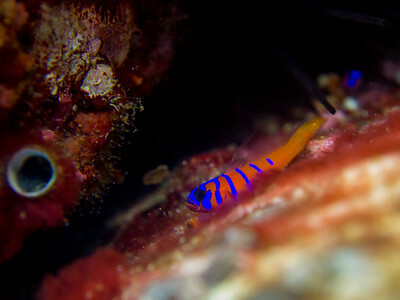 Bluebanded goby at Sea Fan Grotto. 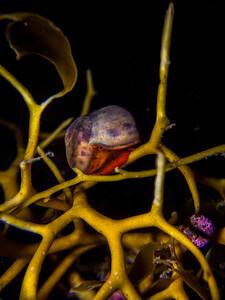 Norris's topsnail on kelp in Emerald Bay. 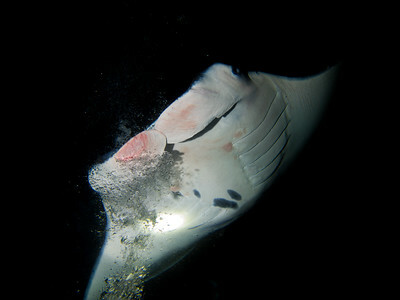 Manta ray bubble massage at Manta Village. 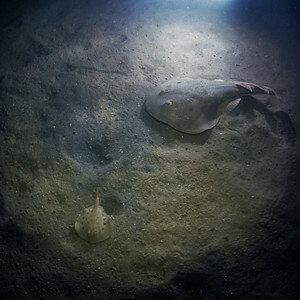 Swimming crab behind eccentric sand dollars at La Jolla Shores. 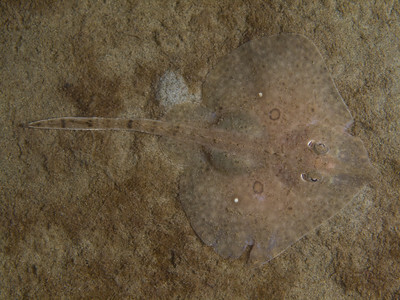 Lesser electric ray following a Cortez round stingray at Guillermo's Hotel. 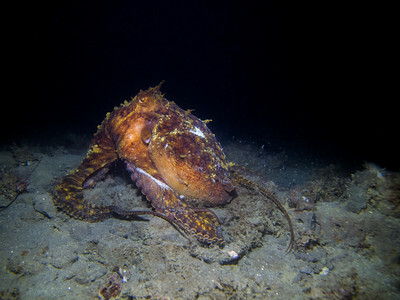 Two spot octopus at Guillermo's Hotel. 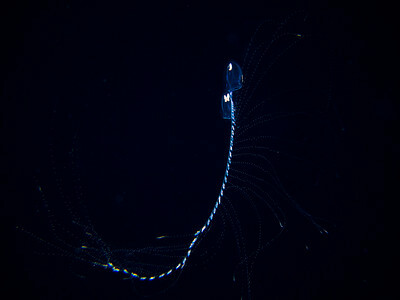 Extended diphyid siphonophore in pelagic blackwater. 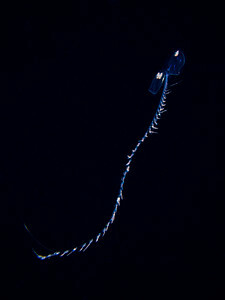 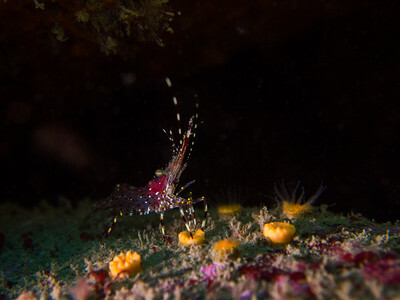 Retracted diphyid siphonophore in pelagic blackwater. 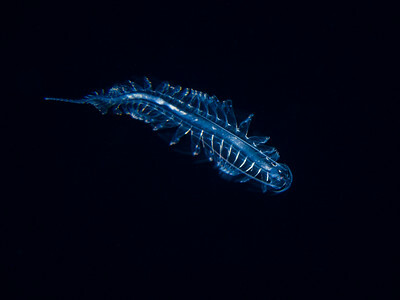 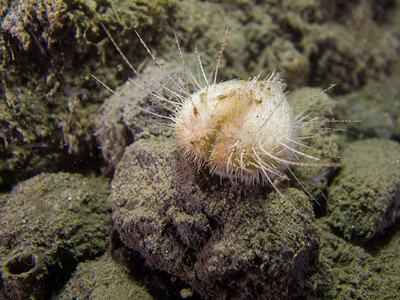 Polychaete brittle worm in pelagic blackwater. 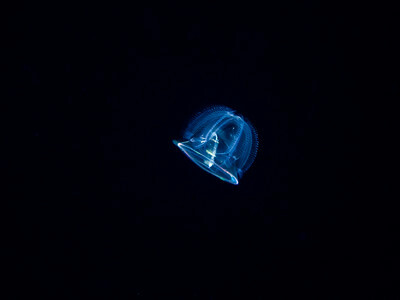 Unidentified jelly in pelagic blackwater. 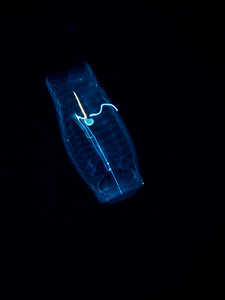 Unidentified salp in pelagic blackwater. 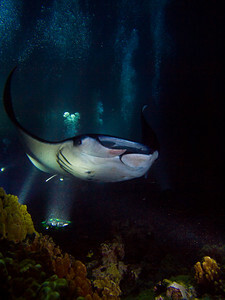 Manta ray at Manta Village. 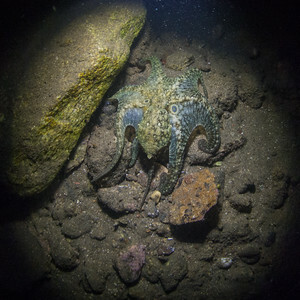 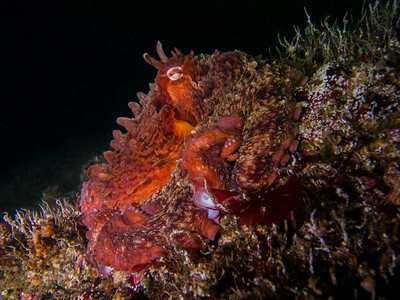 Giant pacific octopus at Tyler Rock. 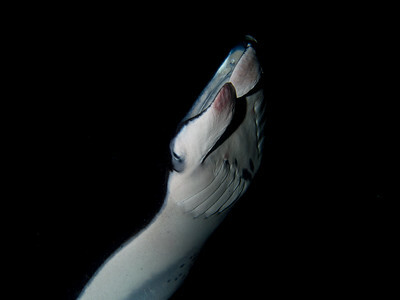 Red brotula at Jen's Jewel. 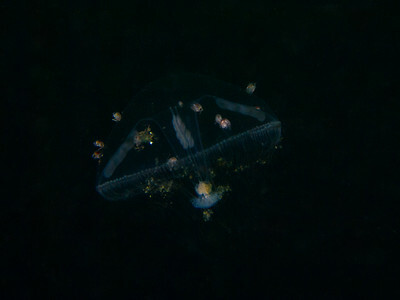 Tiny amphipods on a pelagic jelly at Diplock Reef. 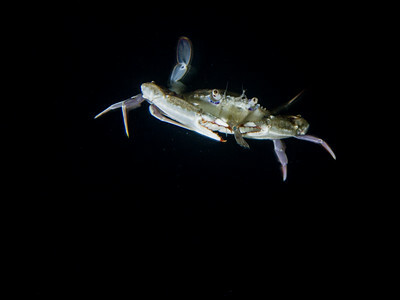 Dwarf teardrop crab in Rainy Bay. 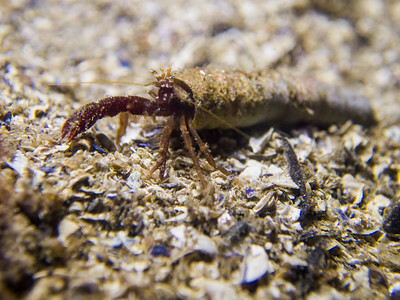 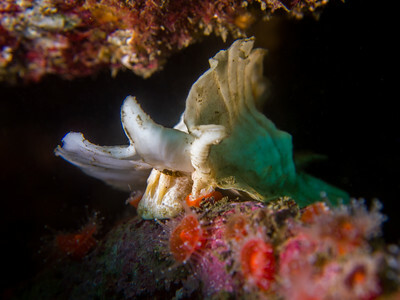 Tubeworm hermit crab in Rainy Bay. 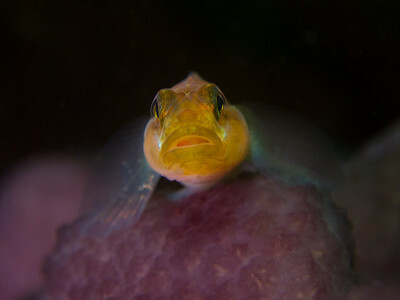 Blackeye goby at Tyler Rock. 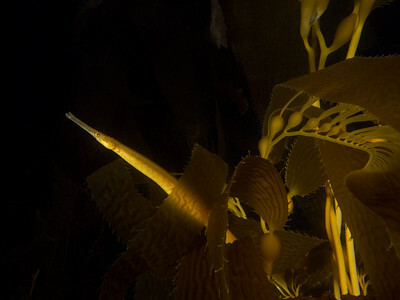 The biggest pipefish I've ever seen, near Vallecitos Point. 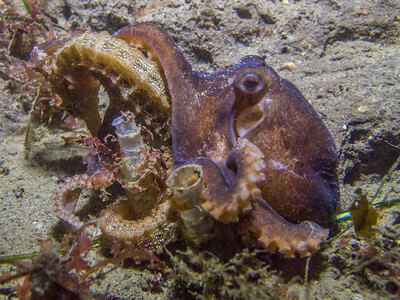 Red octopus hugs a Pacific seahorse at La Jolla Shores. 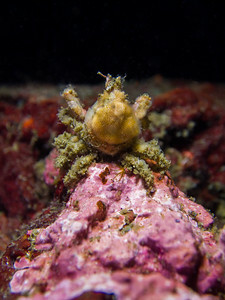 Heart urchin at La Jolla Shores. 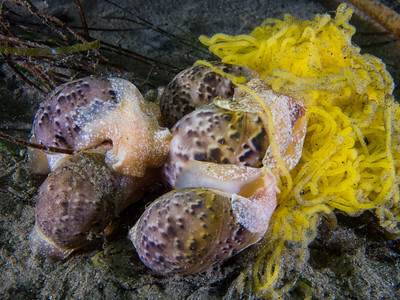 Gould's bubble snails laying eggs at La Jolla Shores. 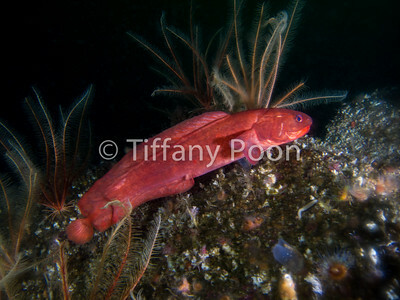 Red octopus butts up against a sea hare by Secret Garden. 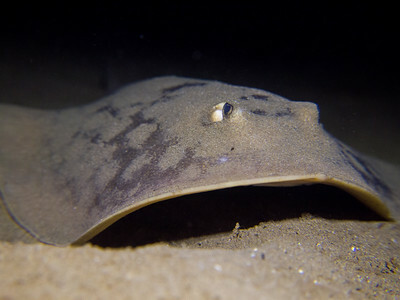 Unidentified and slightly chewed up skate at Secret Garden. 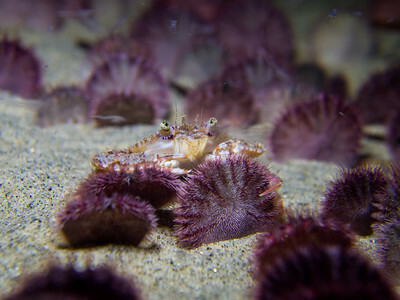 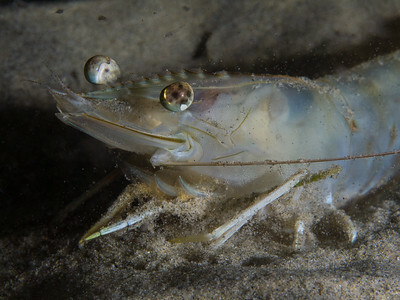 Brown shrimp sifting sand at Secret Garden. 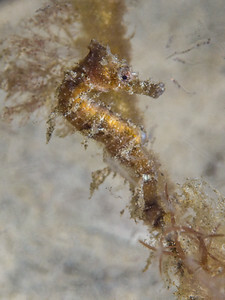 Juvenile Pacific seahorse above Secret Garden. 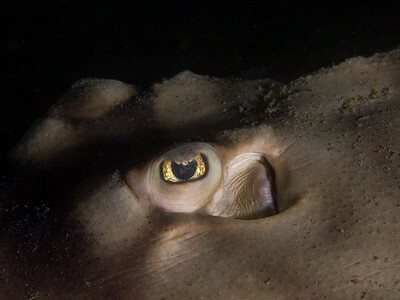 Eye of a banded guitarfish at Secret Garden. 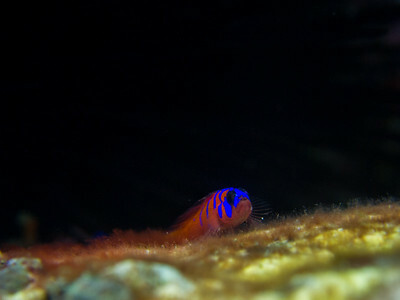 Fourth place, Mirrorless Macro, 2016 SoCal Shootout. 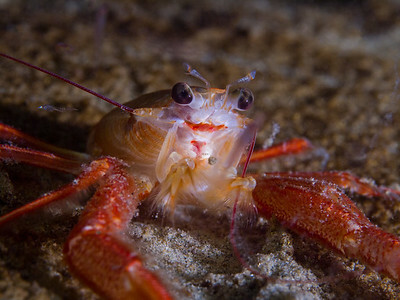 Pelagic red crab settled in by Secret Garden.